Four-pole method, test leads do not require calibration (measurement 150/280A). Touch voltage and touch shock voltage measurement with resistor 1kΩ) AC voltage measurement in range 0...440V. Do you want to buy high quality Ohmmeters? 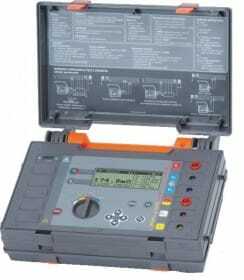 Inquire for our Ohmmeters prices.